According to a recent news article from KIVA, a 16-year-old victim was killed at a local fair when she was thrown from a carnival ride. 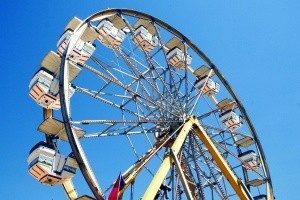 Authorities have said the victim was at a Church Carnival with two of her friends riding a ride know as the “Sizzler,” which is ride that spins the occupants around at relatively high speeds. While they were on the ride, there was a malfunction of some kind, and the victim and one of the girls she was with were thrown from the ride. When she was ejected from the ride, she slammed her head into a metal support beam and died as a result of her injury. While church held the carnival in honor of a ceremony to celebrate the children, they did not own the ride that caused the death of this victim. The church had rented the ride from another company that provides amusement rides and operates these rides. To make matters somewhat more confusing in terms of potential personal injury liability, the Sizzler ride that was at the church that day was not owned by the amusement company, which the church had hired. This particular Sizzler ride was owned by another amusement company and that company and the one hired by the church had traded their respective Sizzler rides prior to the date of this fatal amusement accident. The reason they swapped the rides was because the ride used at the church carnival was bigger than the other one, and it was a better fit for that particular job. It seems that these amusement companies, though competitors, will help each other out since they are in a niche industry that does not get a lot of outside support. Authorities did report that the company hired by the church had set up the Sizzler the day prior to the fatal accident and had said it was running properly prior to the accident. The company that was operating the ride on the day of the fatal amusement accident said they regret what happened and they have a lot of questions, but they are working to do whatever they can to answer those questions. The company that owned the ride in question has been in business for three-quarters of a century and claims it has the highest standards of customer safety in the industry. The company also says on its website that it has a comprehensive ride inspection method and has its supervisors go over a daily checklist to make sure they have done everything they can to ensure there will be no accidents that day. It should be noted that there has been no finding of liability involving any party in connection with this case as of the time of this article. The police department has said it will continue to investigate the cause of the tragic amusement ride accident. If you have been involved in accident at an amusement park or ride at a local carnival such as this one, you should seek a consultation with a Boston personal injury lawyer as soon as possible so that your attorney’s private investigator can perform his or her own investigation, which may increase the chance of you obtaining a full and appropriate financial recovery.